The amazing thing about planting trees is that they will grow with a little effort, dedication and perseverance. The area of the Matumbo Gap acquired by the Danish Travel Fund is an example of such an area. Planted in early 2017, the area a year later has already closed and the grass has virtually gone, crowded out by the strong saplings as they drink up the generous Brazilian rainfall throughout the summer, and grow towards our sunlight . 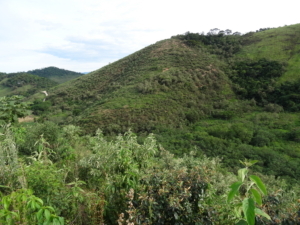 REGUA planted over 25,000 trees in this area some of which were also funded by the World Land Trust’s “Forests of the Future” initiative. 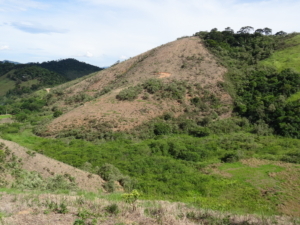 The mix of over 150 native species are growing very well and REGUA has engaged the Rio Rural University in monitoring plant plots to measure growth.